Welcome to the website of NAWIC Pikes Peak Chapter #356! Our chapter chartered in January 1997, and we are excited to be part of our community for over 20 years. We have many exciting things planned for this year and ask that you check back intermittently as we post our meeting flyers, newsletters, programs, and projects. 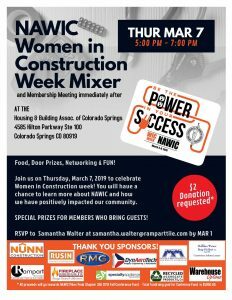 The National Association of Women in Construction is a non-profit organization with chapters throughout the United States, including the recent charter of a chapter in Guam, and affiliates in Canada, Great Britain, South Africa, New Zealand and Australia, all promoting the success of women in the construction industry. We would love to have you join us at one of our meetings. We usually meet on the third Thursday evening of each month. Please contact me for meeting information, if you have any questions about NAWIC or just want to know what our chapter is up to at the present time. 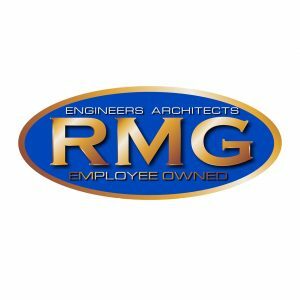 Click on a logo below to be taken to the sponsor’s website. Cost: No cost for meeting. Attendees are responsible for ordering their own meals off the standard menu. 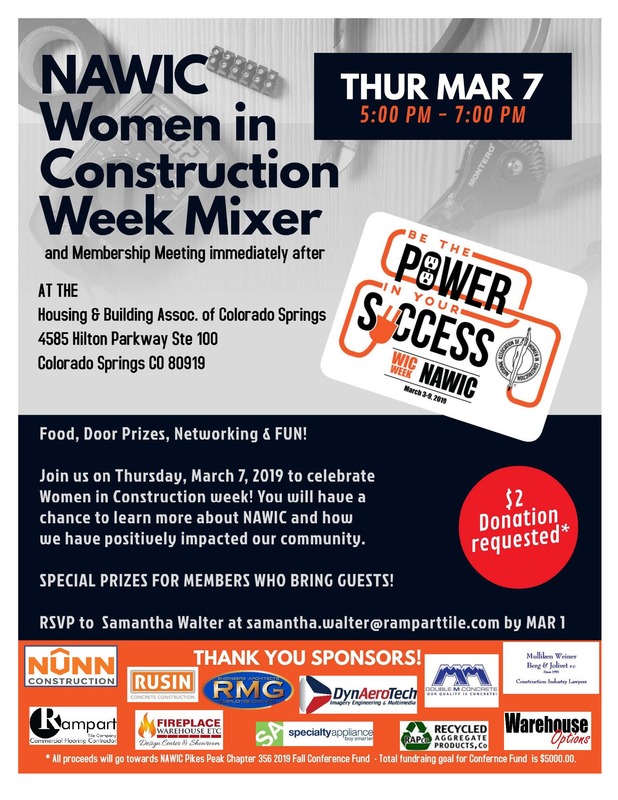 Catch up on all the NAWIC news and events on the National level! Click Here to read the latest Centerline.